We sell high quality herbs by the ounce! Check out all the wonderful uses of herbs! Calendula also known as pot or garden marigold. Very well known for its superior ability to heal wounds, skin irritations, rashes, cuts, scraped or chapped skin, bruises and bee stings. It is also gentle enough to use on babies. It can also be used by gargling with warm water to ease sore throats, soothe sores and inflammation in the mouth and throat. When planted in the garden it can repel many pesky garden pests. It contains inulin, a soluable fiber that feeds (nourishes) digestive flora and can help promote optimal blood sugar levels. It increases the flow of bile supporting the digestive system and helps to break down fats. 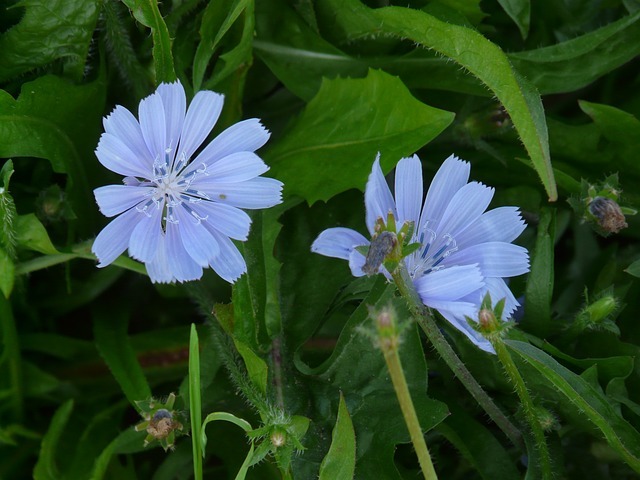 Chicory optimizes the removal of toxins in the body and aids in purifying the liver and blood. Worth considering for those who desire optimal liver and gallbladder health. Today, it is commonly used as a tasty caffeine free coffee replacement. Cramp Bark is most commonly used for painful menstrual cramps. However, it can also effective on muscle spasms such as the bladder, bronchi (asthma), and arteries. Can also be used to aid with digestion issues when cramping is present. Although it has some effect on skeletal muscles it seems to have a greater effect on smooth muscles. Although, this is a great herb for relieving pain it should be noted that it is important to get to the root of the problem verses using cramp bark as a band-aid. Another great herb used for menstrual cramps, PMS symptoms, menopause (hot flashes) and infertility. It should not be used during pregnancy or during menstruation. It is best used as a daily tonic prior to. It is also used as a blood purifier when taken orally. Great for those suffering from anemia. It is also used for hypertension, joint pain, ulcers and constipation. It has also been used in treating sciatica and shingles. Helps to boost respiratory health, strengthen the immune system and fights against bacterial infections, It is a natural skin protector which helps to defend the body against infection. It can also help to relieve tension and anxiety as well as lower blood sugar. Eucalyptus can be consumed as a tea and the oils from the leaves can be used topical or inhaled as a steam. Gotu Kola is probably the most spiritual herb in India, and is used by many yogi's to improve meditation. It is said that Gotu Kola helps to balance the left and right hemispheres of the brain and helps to develop the crown chakra, which sour energy center. Medicinally it is used to as a blood tonic, to strengthen the adrenals and promote sleep. It also promotes healthier skin and invigorates the immune system. Hibiscus is good for those looking to support the cardiovascular system and maintaining good blood pressure. It aids in healthy circulation and fluid balance in the body. When mixed with lemon balm and St. John's Wort it makes a great tea for restlessness or difficulty sleeping. It is also noted to help with upper respiratory health including the throat. In some cultures it is also used for skin health. With it's slightly sour taste it makes a refreshing summer mocktail! Hyssop is an antiviral herb and is commonly used for respiratory problems because of its expectorant properties. It is commonly used to for sinus infections, cold, and bronchitis. It is also a nerving and can be used to soothe the nervous system and calm anxiety. Topically it can be used in a salve to treat burns and bruises. Because its taste is bitter, it can be used to stimulate digestion as well. The "busy bee" herb! Easy to grow and wonderful for that person who can't seem to slow down. I add this to a lot of drinks! It works wonders for calming and relaxing the body and mind! It also helps to ease indigestion, ease tension and promote sleep. It can also help to relieve morning sickness in mothers with child. It can also assist inflammation, ear infections, toothaches, mood disorders, vomiting, fever. Lemon Balm has a front seat in my herb garden! Commonly used to soothe sore throats and calm dry coughs due to its mucilagenous properties. Its also used to sooth digestive disorders, such as indigestion, heart, ulcers and even Crohn's disease. It is wonderfully soothing for urinary tract infections. 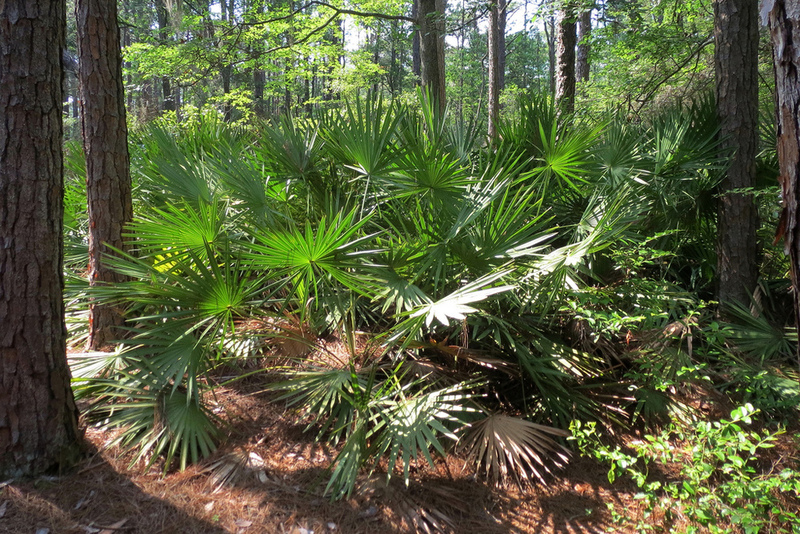 It is often used in skin creams for contact dermatitis, eczema, or other inflammatory skin conditions. Personally, I have used it in general face creams and find it does wonders for the skin! Mugwort helps to ease nervousness and anxiety. It can also aid in mild depression, stress and help to relieve fatigue and exhaustion. Most commonly, it is used to stimulate or regulate menstruation. So this should be avoided if pregnant! According to folklore, Mugwort was said to induce vivid and intense dreams and was often used instead of hops in alcoholic beverages, such as absinthe. Oat Straw is said to reduce the risk of heart disease and improve brain function. It is a wonderful herb to use to soothe the nervous system especially in cases of anxiety and stress. A high source of calcium, Oat Straw helps to relieve muscle cramps and even heal broken bones. It helps to reduce blood cholesterol levels and strengthens blood vessels. Pepermint is most notably known for its calming effects, helping with flatulence, diarrhea, nausea, indigestion and IBS. It can also help to alleviate menstrual cramps. Its calming effects can also be used for depression related anxiety, help to relieve muscle and nerve pain, and is used often for the common cold due to its decongestant properties. In aromatherapy it is used to promote clarity, energy and focus. It should not be used on children under the age of 6. Rose Hips are the part of the rose bush that contain the seeds and are high in Vitamin C (containing 50% more Vitamin C than an orange!) and share many of the same use such as treating colds and vitamin C deficiency. The pulp of the rose hips can be used to make delicous jams and jellies for regular immune boosting. It also contains vitamin A, known as the skin vitamin and helps to regenerate skin cells, minimize and prevent wrinkles and heal scars or wounds. Rose Hip is also an anti-inflammatory and an antioxidant. This unique berry known as the five flavored berry because it is sweet, sour, salty, bitter, and pungent. This berry is only used medicinally and not as a daily supplement. It is used in preparations to increase life vitality and longevity. It is a powerful adaptogen; helps to alleviate stress hormones in the blood, increase energy, improves mind function and has been used by athletes for increased endurance. Provides relief to the nervous system in cases of anxiety, stress and tension. It helps to balance hormones, increase endorphins, and balance moods. Helps to reduce seizures or after effects due to a seizure. It is a pain reliever and helps to heal strained muscles or wounds to the body. With the proper diet it can help with rapid weight loss. Also benefits heart health, liver health, diabetes management, and cancer prevention. Warning: proper doses should be used with this herb! Although, this herb has a distinct smell of "dirty socks," it has wonderful benefits. Valerian Root has sedative qualities that are very effective at calming the Central Nervous System. And has been used for hundreds of years to help with difficulties falling asleep due to nervous disorders. It is also used as a mild tranquilizer for those under severe stress or exhaustion. It has also been used in a few studies to help patients get off anti-depressants and benzodiazepines. A few of the most useful health benefits of Willow Bark is that it helps to reduce pain, fevers, inflammation, heal the skin, treat migraines, protect oral health, reduce weight and sooth the stomach. Willow Bark was the start of how aspirin came about and has many of the same healing benefits. It should not be taken in high doses or for prolonged periods of time. It can be used topically, as a tea (steeping the bark but not in powdered form) or a capsule. Traditionally known as a blood purifier. Yellow Dock promotes detoxification by helping with bile production and promotes digestion, especially fats. Proper elimination helps to remove waste build up in the intestinal tract and helps to prevent the accumulation of toxins in the kidney, gallbladder and the bloodstream. It also increases urination to eliminate additional waste. I have personally found Yellow Dock to be very helpful when combined with additional herbs for anemia. A wonderful herb for children! Used when one has a high fever, works to increase respiration to helps the infection to leave the body faster. Catnip is also used to calm the nervous system and can aid in sleep. It helps to relieve achy muscles due to cold and flu and can be used on the stomach as a poultice on colicky babies. Aids in digestion & morning sickness and can be used to repel insects. Can also be added to soups& stews to aid digestion. One of my favorites...the herb of the lymphatics! Cleavers stimulates the lymphatic system which aids the body in removing extracellular waste. It can help to clear skin conditions such as psoriasis. It is a diuretic and has been used for centuries for edema and to promote urination. Famous herbalist, Susan Weed uses a cleavers tincture for post-mensural symptoms to help lymphatic stagnancy. t has cooling, soothing and wound-healing properties. An aphrodisiac, Damiana has been used by natives of Mexico including the Mayan Indians for both male and female sexual stimulation or male impotence. However, there are other uses for this herb such as depression (or mood enhancer), nerve relaxant, asthma, digestion and menstrual problems. It is a pungent herb with a fig-like flavor. It also promotes pleasant like dreams. A Damiana tea makes a great "mocktail" and is used to wean smokers off tobacco! A well-known herb for fighting the common cold & flu. Echinacea works to stimulate the bodies cells that naturally defend against infections, where antibiotics kill bacteria, including the good bacteria. It helps to activate T-cells and stimulates the growth of new tissues for wound healing. It also works well to reduce inflammation for inflammatory skin problems and arthritis. Fennel has a wide range of healing properties. It is used for digestion, nausea, and as a mild appetite suppressant. It helps boost libido, breast enhancement, increases milk production and promotes menstruation. It helps lower blood pressure, reduces water tension and respiratory congestion. It can help with anxiety, depression and asthma. It supports the liver, kidneys, lungs and spleen. Gravel Root is got its popularity for its ability to help soften, dissolve and pass kidney stones - hence the name. Due to the diuretic properties and nutritional value of Gravel Root, it has been used for various urinary issues and bladder infections, and assists the body in flushing out excess water. Many cultures believe to dissolve gallstones and discourage new ones from forming. It is also believed to encourage kidney cleansing. Also commonly known as Tulsi, this is a favorite of mine! It has an abundance of miraculous and medicinal values. Highly regarding in India, it is used for stress, heart disease, headaches, anti-aging, asthma, fever, and lung disorders. It also promotes good oral healthcare. Just being close to Holy Basil can help prevent infections, and a few tea leaves in a glass of water can kill germs and purify the water. This plant is worshipped 2 times a day in India and is still said to protect families from evil and bring good luck! A favorite of mine when combined with Willow Bark for pain! It is also used to calm the nervous system, relieve anxiety, insomnia, sciatica, toothaches, uterine disorders and migraines. It is also a treatment for acne and can be used as a wash for other skin conditions. For headache relief inhale the essence. For a minor sprain, it helps to reduce inflammation. A medicine cabinet must in my book! Lemongrass helps to combat stomach disorders and boost immunity due to its antioxidant ability. It also plays a role in maintaining healthy cholesterol levels, insomnia, respiratory, healthy skin and infections. It can also be helpful for Type II diabetes, cancer and obesity. The oils are most often used to fight body oder, anxiety and fatigue. I use this a lot when I need to focus and am at my computer most of the day. Our livers best friend, Milk Thistle acts like our liver's bodyguard with its wonderful ability to protect the liver. It detoxifies synthetic chemicals in our bodies such as alcohol, heavy metals and radiation. Milk Thistle was approved as a treatment for various liver diseases such as choruses, alcoholic hepatitis or fatty liver, or liver poisoning. It encourages cell growth and can protect against medications such as non-aspirin pain killers. Used mainly for respiratory problems such as asthma, bronchitis, allergies, coughs and tuberculosis. Due to its great antibacterial properties, it can be very effective when treating infections. Mullein also has anti-inflammatory properties and helps with skin conditions, arthritis, hemorrhoids, and cold sores. It can also be used as a mild sleep aid, to relieve migraine pain and supports proper thyroid function. live Leaf helps to support the cardiovascular and the immune system. It is said to help increase energy and to maintain healthy blood pressure. Commonly it is used to help the immune system when going through a cold, virus or fever. But it can also be used in cases of candida infections, herpes I and II, shingles, and chronically achy joints. Red Clover is rich in isoflavones, calcium, magnesium, potassium, niacin, thiamine, phosphorus, Vitamin C and chromium. Very easy to identify in the wild and grows everywhere, it helps menopausal symptoms like hot flashes, PMS, breast health and enhancement. It helps to lower cholesterol and improve circulation. It can help to reduce the risk of blood clots and arterial plaque. It has also been found to help smoker's quit! Rose is the flower of love, and it is believed to be a heart healer both spiritually and physically, but it also has other wonderful medicinal benefits. It nourishes and soothes many aspects of the body such as cuts and scrapes, rosacea and eczema, and tense muscles. Roses are said to help "lighten things up" and are great for uplifting the spirits, depression and to decrease stress. A few other of its characteristics are: aphrodisiac, blood tonic, astringent, anti-bacterial, cleansing, digestive stimulant, and expectorant. Known as the "miracle mushroom" because of its amazing health benefits. It is an excellent source of Vitamins A, B, B12, C, and D. It also contains all 8 of the essential amino acids in a better ratio than soybean, meat, dairy, or eggs. It is good for those looking to loose weight because it produces a fat absorbing compound. It is a great substitute for those needing to lower their meat intake and helps to lower high cholesterol by 40-45%. The inner bark is a bit slippery which is how it gets its name. Commonly used for IBS (irritable bowel syndrome), ulcers and other digestion issues. It is also used for coughs and sore throats. Slippery Elm can be used topically to treat skin disorders such as psoriasis and eczema or for burns, wounds. Because of it mucilaginous properties it is very soothing. Some research shows that due to this it coats the gastrointestinal tract, potentially helping to ease discomfort from too much acid. Of all the herbs out there for women that help to regulate hormones, Vitex reigns as the "Queen." It stimulates and normalizes the pituitary gland aliases which regulates estrogen and progesterone in the body. As women know, when this is off balance an abundance of uncomfortable symptoms can become present. It is especially helpful for those women who wish to come off birth control pills. It is also used to help with the symptoms of women going through menopause. This herb became famous when it was used to make an alcoholic drink known as absinthe. Wormwood is very effective in the cleansing of harmful organisms, such as parasites. In addition to being a bitter herb, it also contains compounds that can help to stimulate the digestive system by supporting the liver and gallbladder. It has also been used in cases of liver dysfunction such as jaundice. It can also increase sexual desires. Used topically on an insect bite it can reduce inflammation. A personal favorite, Ashwagandha is considered one of the most powerful herbs in Ayurvedic...Read More.. Helps to relieve upset stomaches and menstrual cramps. Works wonders on the nervous system, naturally promoting relaxation, aiding sleep and anxiety. Chamomile is often used for skin ailments and inflammation. Much like an antihistamine it can relieve allergies. Soothes upset stomachs and morning sickness. Chamomile can also be used for eye infections and helps to prevent gum disease. Also safe for children. Personally, I think Comfrey is the magical ingrediant in wound-healing salves! It works to increase cell production aiding in the rapid repair of wounds. It helps to reduce inflammation and can reduce scarring. Internally, the expectorant properties of Comfrey have a relaxing effect on the mucous membranes making them beneficial for asthma, bronchitis, and coughs. As an astringent it helps to slow bleeding for problems like ulcers. This is a must have in any herbal medicine cabinet! Yes! That pesky weed in your yard is incredibly good for you! It is a restorative tonic, an edible food and its roots have been used in caffeine-free coffee blends. The leaves are considered a bitter and great for healthy digestion, as it helps get those digestive enzymes going. Herbalists favor this plant because it supports the functioning of the liver, gallbladder, spleen and kidneys. It is a reliable detoxifying herb. A great herb to harvest so long as it has not been exposed to toxins. A powerful antioxidant, Elderberry is used to help lower cholesterol, boost immunity from common colds, flu, coughs, viral and bacterial infections, such as tonsillitis. It can help to improve vision, yeast infections, debilitating asthma, diabetes and weight loss. This is primarily due to its powerful ability to boost the body's immune system. Elderberry syrup is easy to make, tasty and safe for children! As the name suggests, Feverfew is used for fevers but it is most infamous for its use in the prevention of headaches and migraines. Feverfew treats the cause rather than the pain. This herb helps to control inflammation known to constrict the blood vessels in the head and prevents blood vessel spasms It is also used to lower blood pressure, stimulate appetite, improve kidney function and digestion. . In Europe, Hawthorn is widely regarded as a safe and effective treatment for early signs of heart disease. It is used to help support the circulatory system and overall cardiovascular system improvement, especially in cases of congestive heart failure and angina, perhaps due to its antioxidant properties. Both the leaves and the berries can be used. 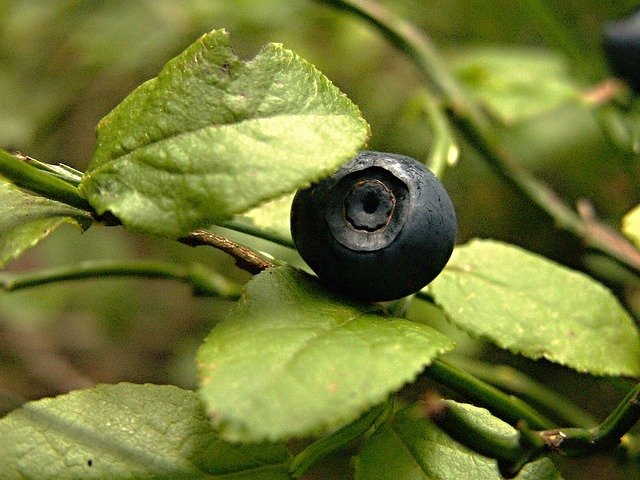 The berries are useful in high blood pressure and high cholesterol. Much like the name horsetail is used for brittle hair, nails, and bones. Due to its Silica content it helps the body store more calcium so the body can use it to repair bones, collagen and other body tissue. It is also recommended for anemia and lung damage such as emphysema. It helps to soothe tissues and is a mild diuretic so it is often used for urinary discomfort. The toning and astringent characteristics often prove to be helpful for bed-wetting in children. An all around great herb to use, most of us are familiar with. Personally, I use it most often when I am infusing summer drinks. Lavender ignite passion as an aphrodisiac. It is also commonly used to soothe the nervous system, helping with anxiety, tension, and insomnia. For digestive issues it relieves gas, colic, and a nervous stomach. It is also antibacterial, antiseptic, antimicrobial and an expectorant. Its uses seem endless! Well known for its use as a tea (often combined with Yarrow flowers and sage) for colds, sore throats, and fevers. Linden causes mild respiration which helps to break fevers and sweat the toxins out of the body when sick. It makes a delicious fragrant tea or fragrant herbal bath that can also be used to calm the nervous system when someone is experiencing anxiety, insomnia, hypertension or headaches due to nervousness. A part of the mint family with an intense bitter taste. As the name suggests this herb has been commonly used for female "mother") issues such as painful menstrual disorders. However, also as a mother is nurturing this wonderful plant is known to assist in heart problems both spiritually and physically. It helps to shift stuck patterns in the heart or in the soft tissue of the womb. On the right person Motherwort can be magically calming and healing. This beauty has so many uses I could hardly list them all. I add this to just about EVERY tea I make for its many benefits! So here is a small list: allergies, eczema, protects against hair loss, blood purifier, urinary tract issues, inflammation, joint problems, kidney stones, endocrine disorders, diarrhea, stomach acid, internal bleeding, cancer, anti-aging, and my personal favorite anemia. The number one most common use of Passionflower is for sleeping disorders and fatigue related to anxiety or stress. It acts as a mild tranquilizer and sedative. It not only helps one to fall asleep but also to stay asleep throughout the night. A few other of its medicinal benefits include, easing pain, alleviating depression and menopausal symptoms as well as drug withdrawal. Easy to incorporate in a daily drink, red raspberry leaf has a delicious taste! It is well known for toning the uterus, inducing labor, balancing hormones, and increase energy levels. This herb is honored "the woman's herb" amongst herbalists. It is very high in essential vitamins such as A, B, C, & E and is rich in minerals such as potassium and calcium. This herb can be the overall boost in nutrients you need in your daily diet to help improve overall health! This herb is commonly recommend for enlarged or inflammed prostate however, it is a great herb for both men and women. It is also helpful for urinary tract inflammation, congestion and for coughs. It supports the thyroid gland, metabolism balancer, aids in digestion and stimulates appetite. Recently, it has become popular in hair restoration and breast enhancement. It is a wonderful nutritive tonic. Also known for its ability to increase sexual vitality, it helps with impotence, and desire. It can also assist in building muscle mass. Also known as Bearberry because bears love to eat the fruit from this plant, however we only use the leaves for medicine. Commonly, this herb is used for treating Bladder and Urinary Tract Infections. Urva Ursi can also help with water retention, liver ailments, and chronic diarrhea. It is a powerful astringent and antiseptic. It helps to balance the pH of uric acid, it eases inflammation and acts as a direct sedative on the walls of the bladder. Wild Cherry Bark is often used for colds and coughs and is a common ingredient in home made cough syrups. It helps to reduce inflammation, has an astringent effect on tissues and helps to reduce spasms in smooth muscles. In addition to colds, it can also be used for diarrhea, fever, gout, bronchitis, sore throat and whooping cough. It is also said to alleviate pain and stimulate the digestive system. Some research studies show that it can suppress the growth of cancer cells. A wonderful herb when treating children, but is also very effective on adults. Yarrow is helpful at reducing fevers, shortening the life of a cold or flu and helps to improve relaxation during times of sickness. It is often combined with elder flower, ginger, peppermint and echinacea. It can also be used topically for hemorrhoids, rashes and open wounds. Other benefits include, decongestant, fights bacteria, anti-inflammatory, astringent and promotes digestion.